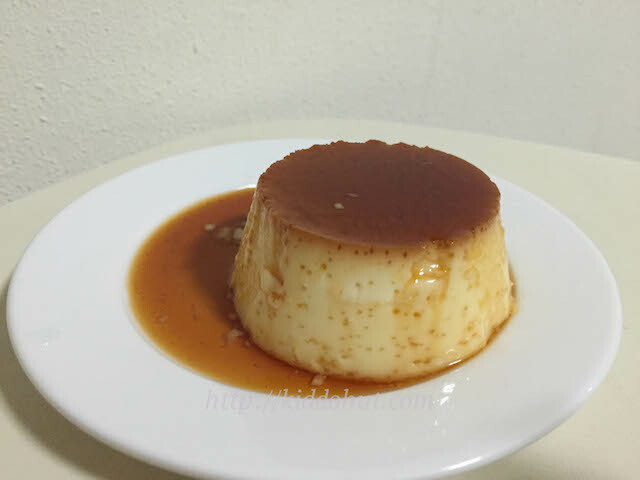 This recipe is motivated by my husband who has craving for Japanese Egg Pudding suddenly and asked if I know how to make. 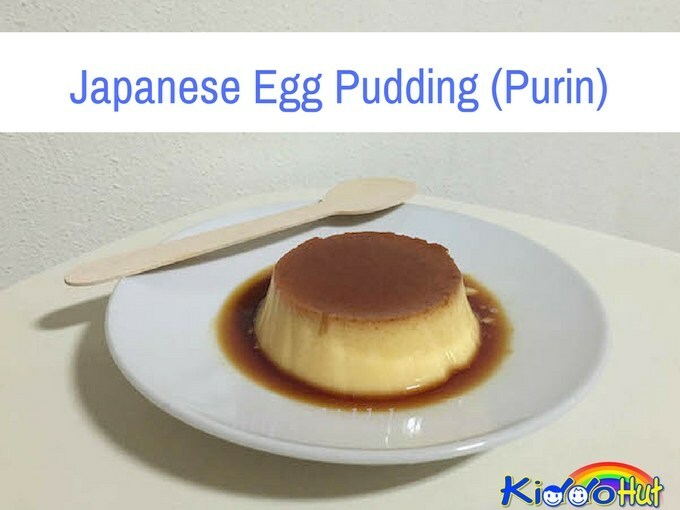 Frankly, I am not Japanese, logically speaking I do not know how to make Japanese Egg Pudding also known as Purin to the Japanese. So, I googled and compared the ingredients and methods from the various recipes posted on the web by the Japanese. This recipe which I have adapted is by “Cooking With Dog”. Yes, I am a dog lover and definitely, such title would catch my attention. After watching their you tube video once, I tried making this pudding immediately. The pudding didn’t turn out smooth. Instead, it looks much like a bee hive and my caramel topping sipped through the egg custard when I poured in the latter. By the way, the grey poodle in the video is really well-trained and cute. I was very inclined to abandon this recipe but the taste is just nice. 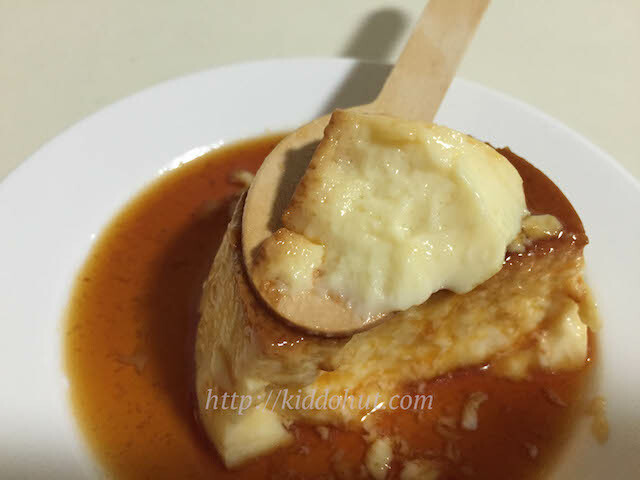 The sweet pudding accompanying the bitterly sweet caramel is simply perfect, and the pudding is not too hard nor too soft. The texture is awesome too. So, I tried it again and this time, it turned out perfect! 1. Swirl the pan when caramelising the sugars. Otherwise, it will crystallise and difficult to brown. And be careful when you pour the hot water into the caramelised sugar as the caramelised sugar will splash a bit when water is added. Note: making dark brown caramel is most difficult in this recipe. If the sugar is caramelised for too long, it will be harder. If too much hot water is added, it will be too watery. 2. For easy removal of pudding from mould, you can lightly greased the bottom and side of the mould with butter. 3. Add the sugar to the milk and stir it to dissolve before warming it slightly. We do not need a hot milk to pour into the beaten egg and cook the egg as a result. 4. 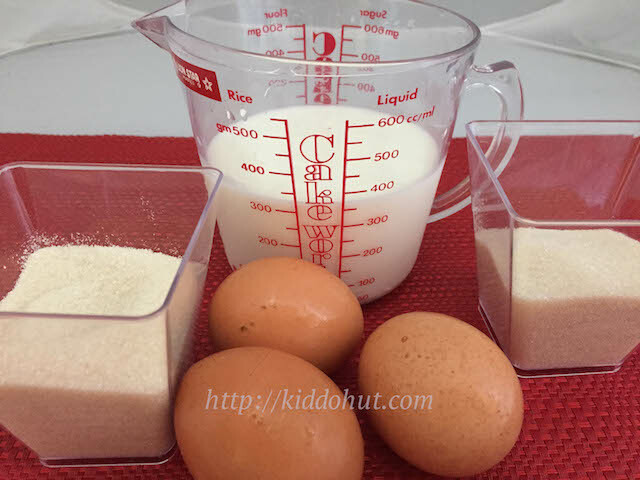 Sieving the egg mixture is a must! If you could, sieve twice. 5. Steam in low heat, water below boiling point. 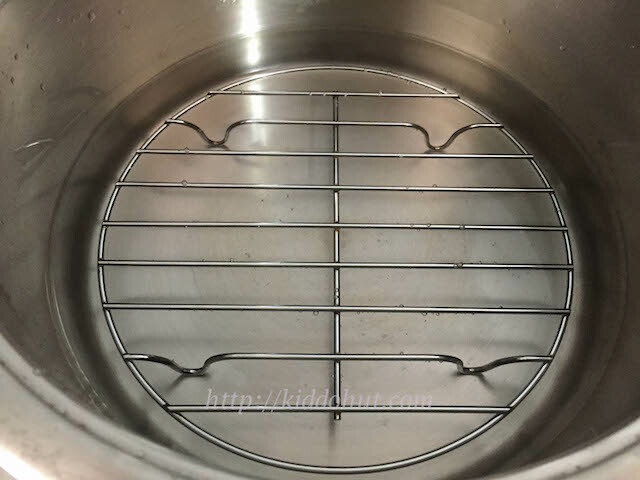 Put a low metal stand in the steamer to reduce the impact of the heat. If the water is bubbling away, the pudding will get this look. Texture wise will be slightly harder. Still, it is palatable. Lightly greased the inside of the pudding moulds with unsalted butter. 1. Add water to sugar and heat under medium-low heat. Caramelise the sugar until dark brown. Swivel the pan/pot while caramelising. 2. 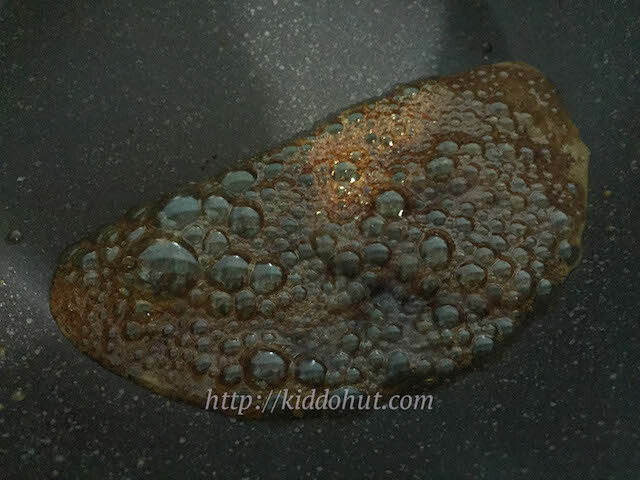 When the sugar is caramelised, drizzle 1.5 to 2 tablespoons of hot water onto the caramelised sugar. Be extra careful as the caramelised sugar will release steam. 3. Pour into the pudding moulds. Set aside. 1. Add the sugar to milk and stir to dissolve. (It is ok that the sugar does not dissolved fully) Set aside. 2. 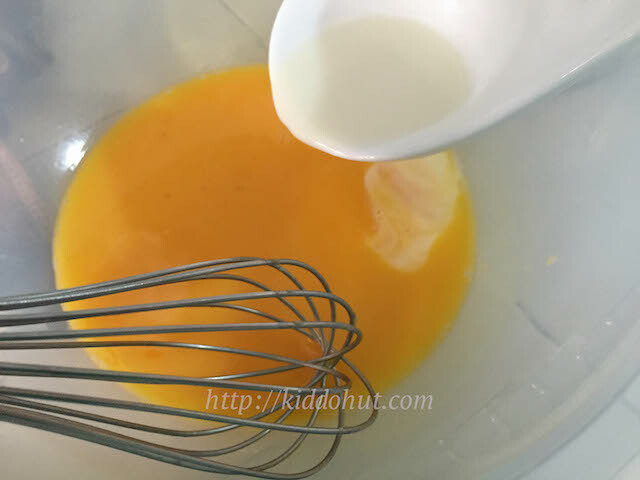 Beat the eggs lightly so that no bubble is created, and mix the yolk and white well. 3. Warm up the milk to dissolve the undissolved sugar. Once sugar is dissolved, remove from heat. 4. Slowly add the warm milk to the beaten eggs and stir to mix well. 5. 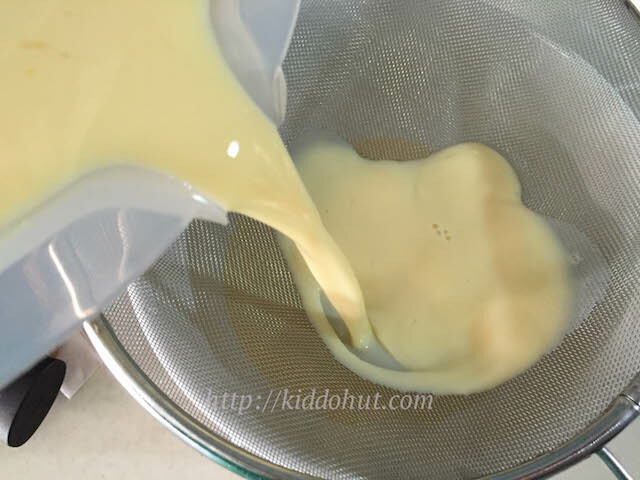 Sieve the egg mixture through a strainer. 6. Pour the egg mixture into the pudding moulds (with the caramel therein). 7. 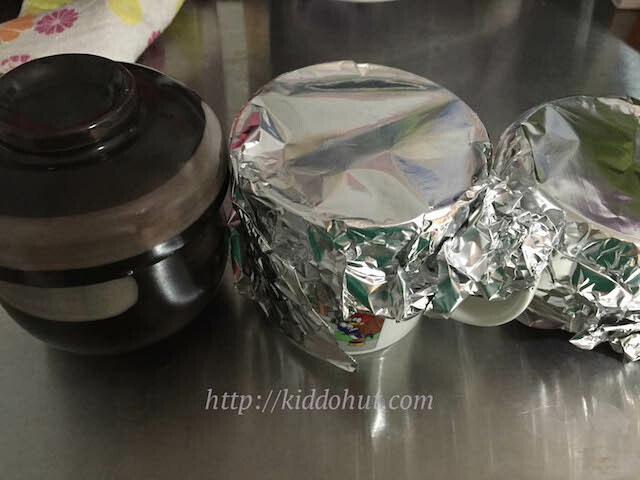 Cover with moulds or cups with aluminium foil. If you are using Chawanmushi bowl, just use the cover. 8. Steam the pudding by placing the moulds onto a low metal stand in the steamer, and water should reach half of the moulds. Steam for 15 – 20 minutes, depends on the size of your moulds. 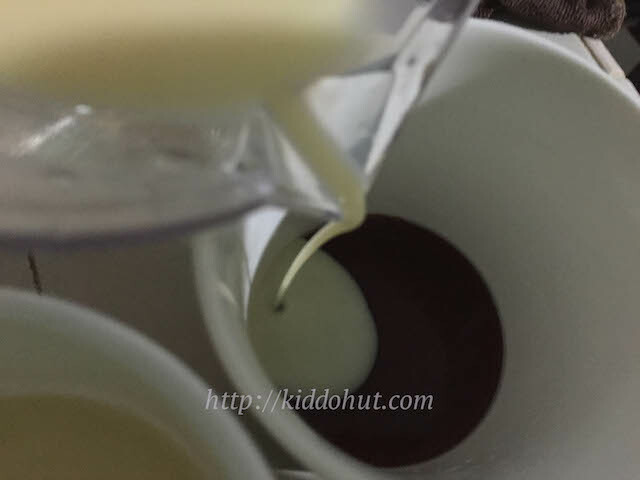 To check if the pudding is cooked, press on the pudding surface lightly to see if custard has set. 9. Chill in the fridge. Serve.